Bangkok is one of the top travel destinations in the world, and rightfully so. The city has earned a reputation for a multitude of different aspects – shopping, food, cultural tourism, and nightlife – and it has done a magnificent job in culturing its image abroad. 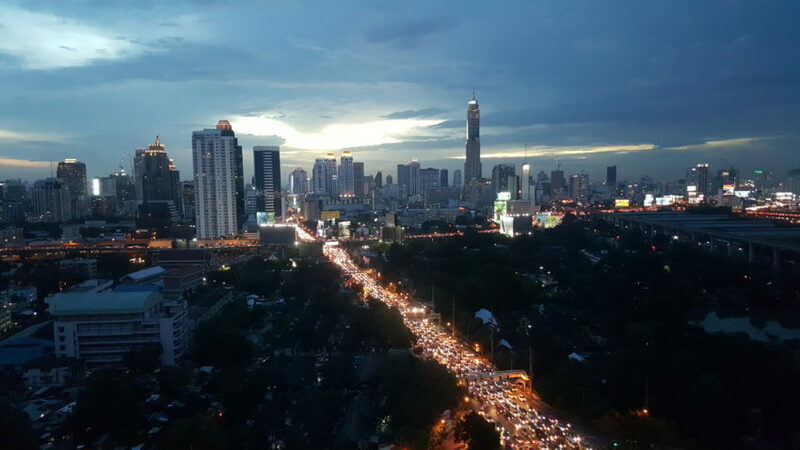 One of the most underrated features of the city of Bangkok is their stellar public transportation system that interconnects the outer edges of the city with the central hub of activity. 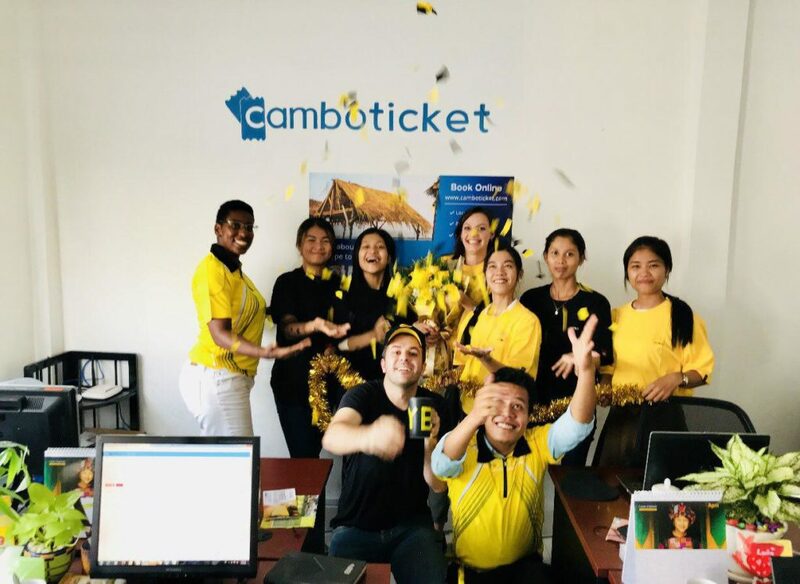 Whether you have booked a trip already to the bustling city of Bangkok via a Mekong Express bus, IBIS buses, Virak Buntham buses, or are still doing your research before you confirm a trip; we here at Camboticket have put together an all inclusive guide to help you navigate the city without fear. It is possible to stay in Bangkok and never take a taxi, tuk-tuk, or Grab taxi/ by simply utilizing the amazing public transportation provided by the government of Thailand. All of the buses, trains, and ferries in the city are clean, safe, and affordable – so act like a local and immerse yourself into the local culture completely through your choice of transport. 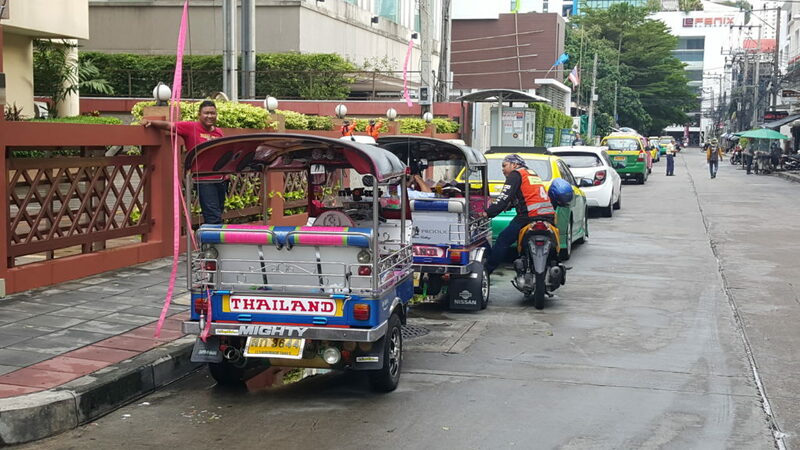 The most commonly utilized form of transportation in Bangkok is either a taxi or a tuk-tuk (Uber and Grab are taxis through a mobile app on your cellphone). Taxis are very prevelant all over the city and it should never be difficult to find one no matter where you happen to be attempting to hail one. Should you be persistent enough to convince a taxi driver to turn on the meter – on average you will have to reject 3-4 before finding one willing to charge you the proper rate – you will have secured the cheapest form of direct transportation in the city. In the event that you fail to get the taxi driver to turn on his meter, the flat rate that they will request will be at minimum 2x the metered cost. Should you want a unique experience taking a ride on a tuk-tuk, you will need to negotiate a flat rate for your destination. On occasions you can secure a better rate than a taxi, typically for a longer ride, but in general a metered taxi ride will always be cheaper. Uber and Grab both operate in the city of Bangkok, so if you are an avid user of either app you will be happy to learn that you can use your preferred ride service. If you take a trip to Bangkok and fail to ride on the BTS Skytrain, you will be doing yourself a disservice (additionally you will be spending more of your budget on transportation costs than necessary). Riding on the BTS is affordable, convenient, and highly efficient no matter what your intentions are on holiday. You can view the skytrain map here. The prices for travel on the skytrain are based off of the number of stops that you will be traveling, thus the longer the distance the more it will cost you. A cost breakdown matrix is located here , with all the prices listed in Thai Baht (approximately 30 Baht to one US dollar). If you travel from one end of the city to the other it will cost you under $2 US currency. Currently there are two skytrain lines that link up together at the Siam stop, the Sukhumvit line and the Silom line, but the wonderful thing about the skytrain is that you do not need to purchase a separate ticket if you are changing trains at the central Siam plaza. All of the stops are categorized by letters and numbers based off of the stop’s navigational direction from the central Siam stop – N for north, E for east, S for south, W for west). In addition to the skytrain there is an interconnecting subway system that is known as the MRT (mass rapid transit) system. This underground train system is similar to any other major city such as Hong Kong or New York City and the costs for single ticket travel are very reasonable. 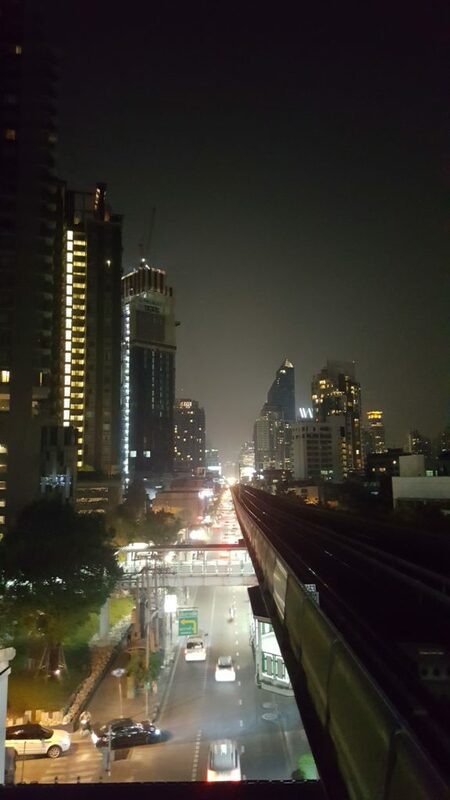 The greatest benefit to the MRT system is that it services the areas of Bangkok that are not accessed via the skytrain, making their public transport system an interconnected web. In the case that you travel on the subway system, is most likely that you will utilize the MRT from the Suvamabhumi airport, which is the red line on the map. The simple fact that there is a train that leaves from the airport allows you a more affordable option to reach your hotel accommodations upon arrival (approximately 50 baht versus 400 baht for a taxi) should you be flying into Bangkok at the main international airport. MRT tickets are separate from the skytrain tickets, so if you are transferring from the subway to the above ground train you will need to purchase a new one way ticket. The blue line links up with the Sukhumvit skytrain in two locations, the Silom skytrain in one location, and also with the red airport train line as well making the transportation grid a seamless process. One of the least known ways to traverse across Bangkok is the waterway taxis. These ferries run parallel with many of the main roads and provide you with an alternative method of transport. Unless your hotel is located next to a water taxi stop this would be the least convenient form of transport. The city of Bangkok is known for heavy traffic, so if you find yourself getting frustrated with the overcrowded roads and trains this is an alternative option for travel. The prices are very affordable and the routes are clearly marked on boards in front of each stop. The absolute cheapest form of transportation in Bangkok is their bus system, but it is also one of the more difficult to navigate due to a lack of English explanations for the routes. You can find information about the bus system here, but we recommend that you only use it if you have researched the route you need to take in advance. Hopefully after reading this article you have a new found confidence about how to circumnavigate the expansive metropolis of Bangkok. We have listed some of the best resources for your travel questions below.